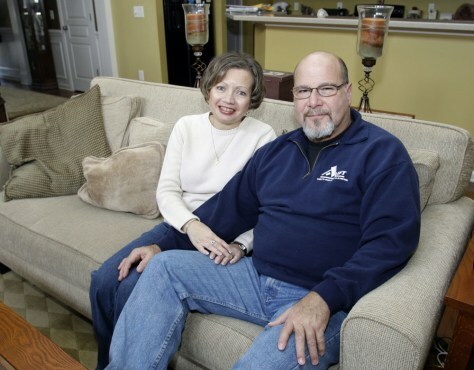 Mike Berkwits and his wife, Mary, in their home in Stallings, N.C., on Friday. Berkwits is just starting to wrestle with his memories of surviving the plane crash. Others are celebrating their good fortune, thrilled by a near-death experience that's brought them closer to loved ones.